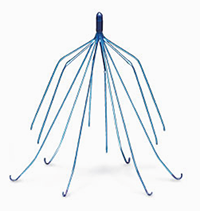 Are you looking for advice regarding your IVC filter risk? Law360, Phoenix (March 30, 2018, 1:22 PM EDT) — A Phoenix federal jury awarded $2 million in compensatory damages on Friday to a woman who said a clot-stopping vein filter manufactured by Bard broke apart in her body, finding that the device maker was responsible for 80 percent of the harm, but also saying Bard is liable for punitive damages. The punitive damages phase of the first bellwether over the IVC device will immediately follow Friday’s verdict, which came after six-and-a-half hours of deliberations beginning Thursday. The jury said Bard was not liable for strict.. Inferior Vena Cava (IVC) filters are implanted in patients at risk of blood clots making their way into vital organs like the heart and lungs. These patients may develop a pulmonary embolism and result in serious health problems. The filters are designed to prevent this. Risks associated with filter implantation include damaged veins and blood clots forming/bypassing the device. However, there are other serious complications that can occur with the implanted filters. One of the most serious is the device breaking apart and traveling to another area of the body. A majority of the events involved device migration, when filters move away from where they were placed. The FDA listed embolization as the second most frequently reported complication. Retrievable IVC filters are only intended for short-term placement. However, the FDA is concerned the devices are staying in patients long after the pulmonary embolism risk subsides. If you have suffered serious complications from an IVC filter, you should speak with an attorney. The legal team at Inserra | Kelley | Sewell, Injury Attorneys has experience with medical, pharmaceutical, and medical device cases and can advise you on your legal options. Case consultations are free and you have no obligation to act on our advice. Call today at (800) 642-1242, or in Omaha at (402) 391-4000 or fill out the form on the right side of the page to get in contact with one of our attorneys. The evidence that IVC filters present a danger to users is clear, and manufacturers need to exercise more caution when designing them, because when they don’t, innocent people pay the price – and Inserra | Kelley | Sewell, Injury Attorneys is here to make sure the manufacturers do. Device manufacturers’ first responsibility is to the safety of the people using their product – they need to ensure that a medical device is fit for use by the public.